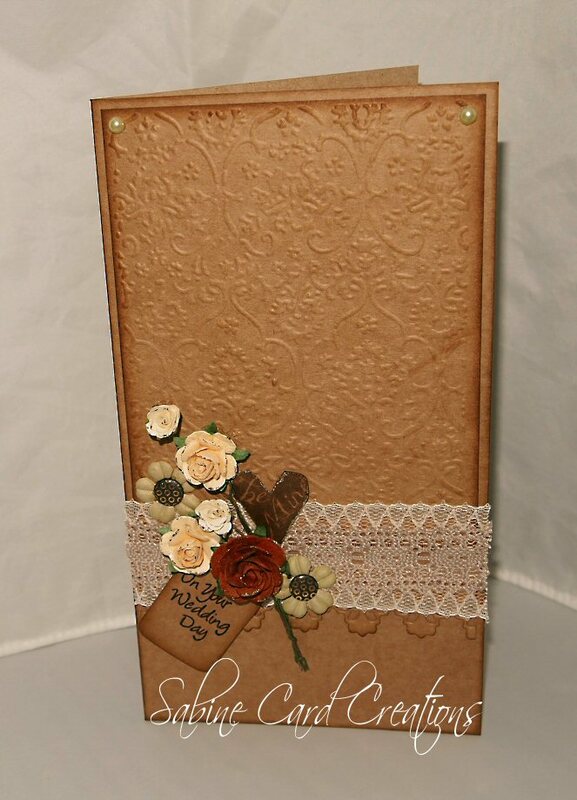 Today I would like to share a wedding card I have made for this weeks challenge over at Everybody Art Challenge. The picture isn't great as I had to take it in the evening. The card definitely looks better in real life. I decided to move away from my comfort zone of colouring an image to try a clean and simple card. I don't think I managed it too well but it's not bad. That's about it for now. Be sure to check out my fellow Design Team mates.